Dip the crabs into the batter and slowly lower it into the oil so it doesn’t splash. Fry until golden brown on both sides. 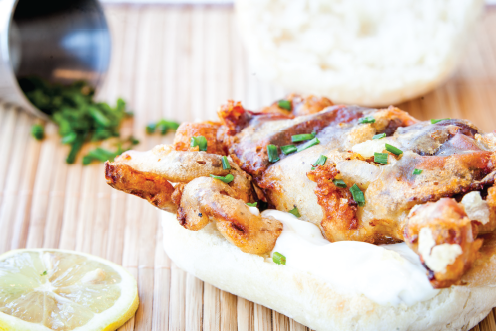 Place on your favourite bun, top with tarter sauce, a squeeze of lemon and enjoy!